Today over at Kirkus, I write about the newest picture book from Michael Hall, called Red: A Crayon’s Story (Greenwillow Books, February 2015). That link is here. 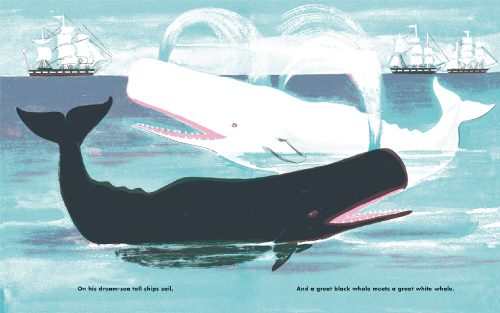 Last week I wrote about three new picture books, geared at very young children — Jennifer Hamburg’s Monkey and Duck Quack Up!, illustrated by Edwin Fotheringham (Scholastic, February 2015); Doreen Cronin’s Smick!, illustrated by Juana Medina (Viking, February 2015); and Stephen Savage’s Supertruck (Neal Porter/Roaring Brook, January 2015). I’ve got art and preliminary images from these books below. 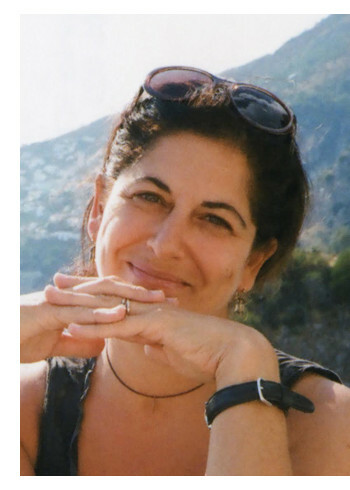 Last week, I chatted over at Kirkus (here) with author-illustrator Carin Berger about her new picture book, Finding Spring (Greenwillow, January 2015). Today, as always, I’m following up with some in-progress images from Carin, as well as a few spreads from the book. Those are below. BUT she also visited 7-Imp over a year ago, while working on this book, to talk about it in detail waaaay before its publication. If you like Finding Spring and like Carin’s art and her books, I highly encourage you to check it out, if you haven’t seen it already. Lucky for us all, it is an art-filled post. It is here. 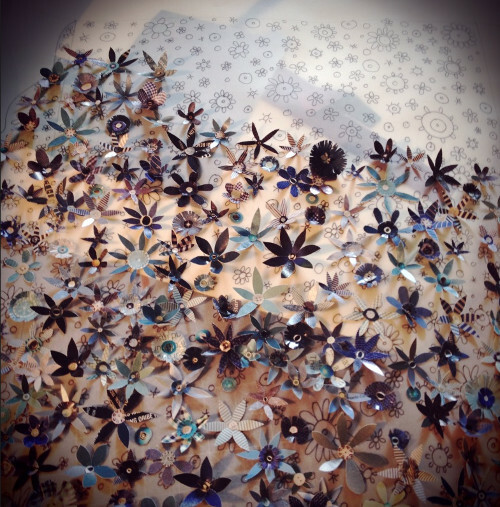 And I thank Carin for sending the additional images below. Enjoy. “In 1919, just before Harry returned to Winniepeg, he made another hard decision. 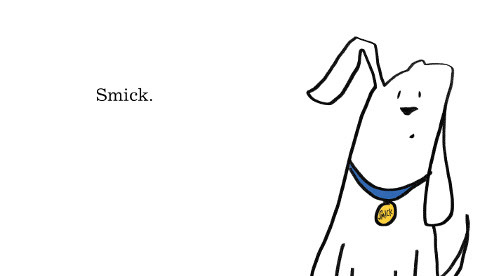 He decided that Winnie would stay at the London Zoo permanently. 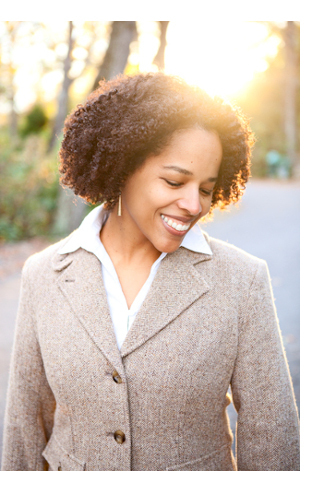 This week over at BookPage, I’ve got an interview with author Sally M. Walker. 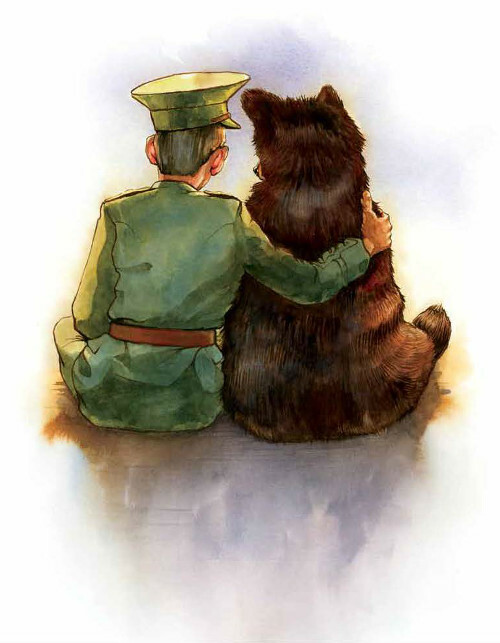 Her newest picture book is Winnie: The True Story of the Bear Who Inspired Winnie-the-Pooh (Henry Holt, January 2015), illustrated by newcomer Jonathan D. Voss. It’s a fascinating story and one I didn’t know. 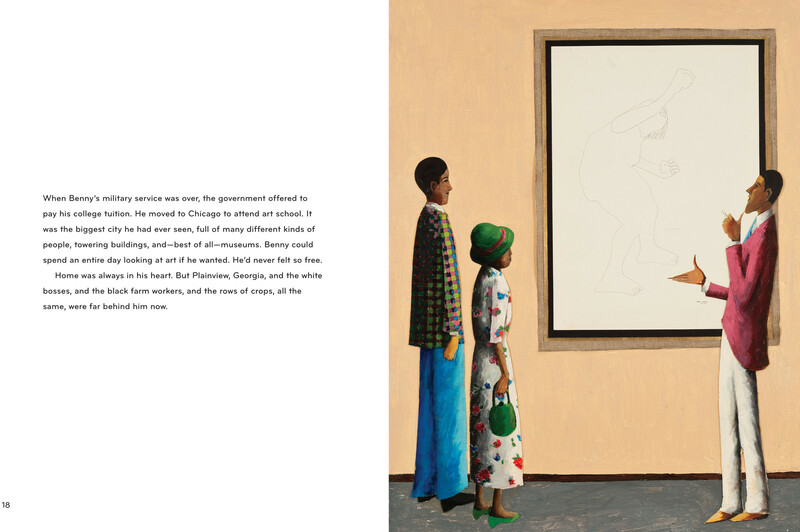 Our Q&A is over here at BookPage, and below I have some art (and backmatter images) from the book. Author-illustrator Don Tate, who visited 7-Imp for breakfast back in 2011, is back today to talk about his upcoming picture books. 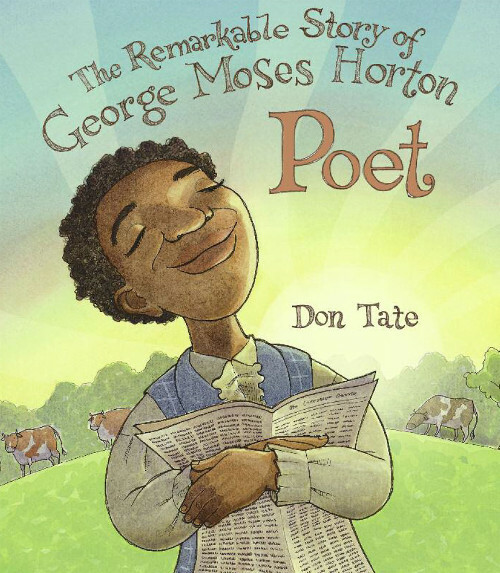 As it turns out, I had an opportunity to do one of those so-called cover reveals for his book Poet: The Remarkable Story of George Moses Horton of Chapel Hill, which will be on shelves from Peachtree in the Fall. (Yes, FALL! I know. Seems so far away.) And then it turned into an opportunity to ask him about the book (I read an early PDF version) and to show some spreads from it, and I’m all for that. Even better. 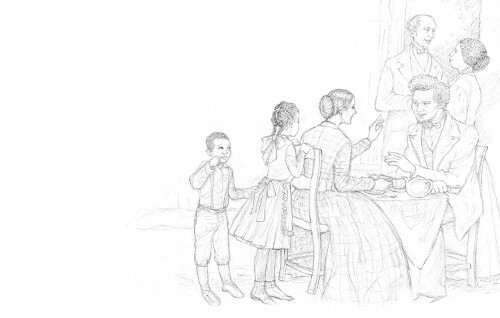 To boot, Don is even sharing some images from another forthcoming book, written by Chris Barton, called The Amazing Age of John Roy Lynch (Eerdmans), which I believe will be on shelves in April. So you’ll see that below too. 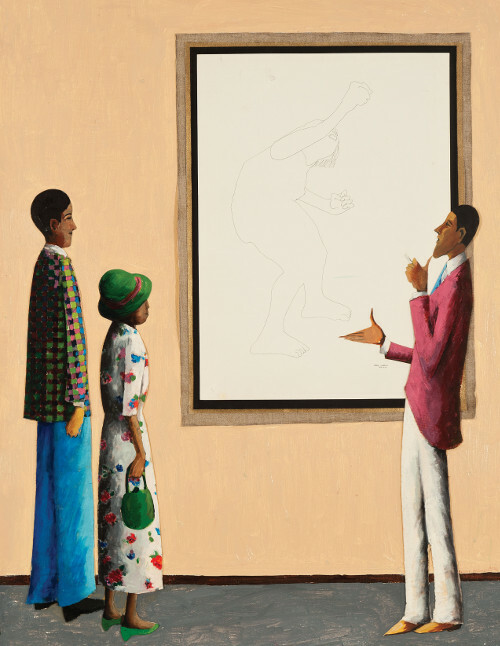 Poet is the story of George Moses Horton, the first African American poet to be published in the South. Horton’s story is a remarkable one, and Don talks a bit below about why. Let’s get right to it, especially so that we can see more of his art. 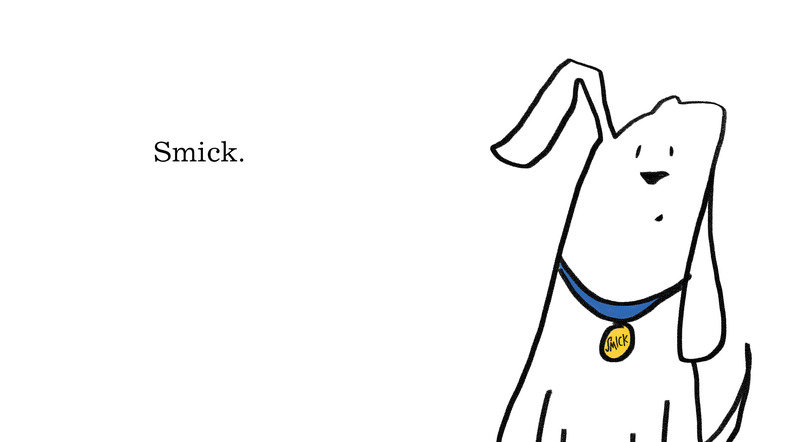 Today’s picture book is an import. 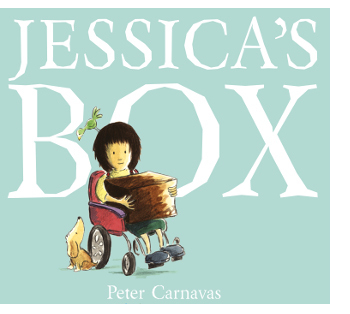 Peter Carnavas’ Jessica’s Box was initially published in Australia back in 2008, but Kane Miller will bring it to U.S. shelves in March. When we first meet Jessica, her mind is racing. It’s “too busy for sleep. Her thoughts were already with tomorrow.” And that’s because tomorrow will be her first day of school, and she’s eager to make new friends. When she shows up, she brings with her a big cardboard box. 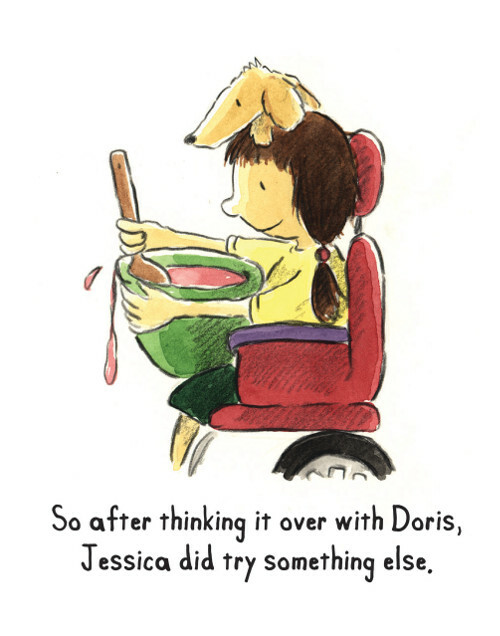 By lunchtime, though her box is neglected at first, curious children gather ’round, and Jessica reaches into her box to pull out a stuffed toy bear. The reaction Jessica wants isn’t exactly the one she’s met with: Some students laugh at her, and others ignore her. The next day, Jessica brings cupcakes. Needless to say, the treats are met with enthusiasm, but they’re consumed and forgotten. “Not even a thank you?” Jessica wonders. Two hundred thousand people march for freedom in Washington,D.C. “When Benny’s military service was over, the government offered to pay his college tuition. He moved to Chicago to attend art school. It was the biggest city he had ever seen, full of many different kinds of people, towering buildings, and—best of all—museums. Benny could spend an entire day looking at art if he wanted. This morning over at Kirkus, I’ve got some good, new picture books for very young readers. That link is here. 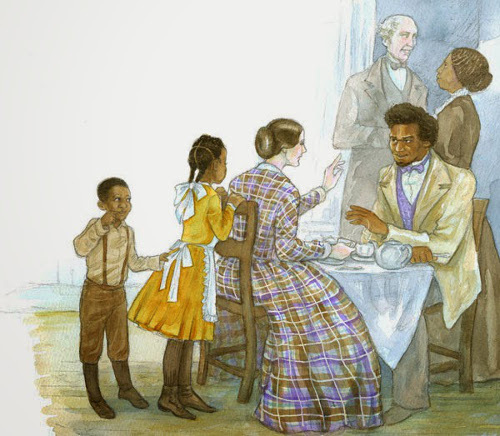 Last week I wrote here about Hester Bass’ Seeds of Freedom: The Peaceful Integration of Huntsville, Alabama (Candlewick, January 2015), illustrated by E. B. Lewis, as well as Kathleen Benson’s Draw What You See: The Life and Art of Benny Andrews (Clarion, January 2015), which is illustrated with some of Andrews’ paintings. Today, I’m following up with a bit of art from each book. 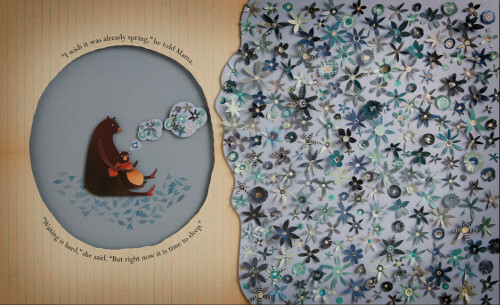 This morning over at Kirkus, I chat with author-illustrator Carin Berger about her new picture book, Finding Spring (out on shelves next week). 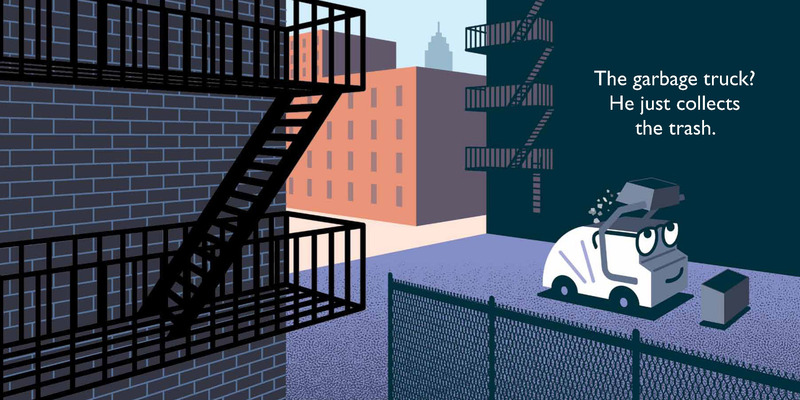 Carin has actually already visited 7-Imp to talk about the book, over a year ago, but more on that next week — when she’ll share a bit of art from the book over here. That Q&A at Kirkus is here. Photo of Carin used with her permission. Illustrator Nicole Tadgell (pictured left) is visiting 7-Imp (for a third time — you can check the archives for her previous visits) to share artwork and early sketches from Suzanne Slade’s Friends for Freedom: The Story of Susan B. Anthony & Frederick Douglass. This book was released back in September (Charlesbridge), but better late than never. 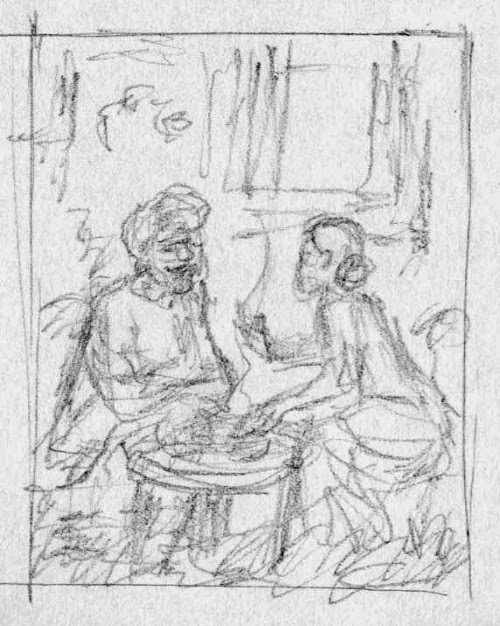 Slade’s story, rife with source notes and an impressive Selected Bibliography at the book’s close, describes the friendship between the two legends. Everything about this was scandalous for the times: “It wasn’t proper for women to be friends with men,” Slade writes. “You weren’t supposed to be friends with someone whose skin was a different color than yours.” But their friendship endured for over 45 years. She even highlights their 1869 public argument when the Fifteenth Amendment gave black men, but not women, the right to vote. While Slade emphasizes their passion for civil rights and social justice, the heart of the book is their friendship, during both good and bad times. Every now and then here at 7-Imp, I like to link back to this 2008 post I wrote with my friend and librarian extraordinaire (and current Caldecott committee member!) Adrienne Furness, and I always like to add books to our Straight Talk About the Food Chain bibliography. (There’s no actual bibliography — just one in my head.) 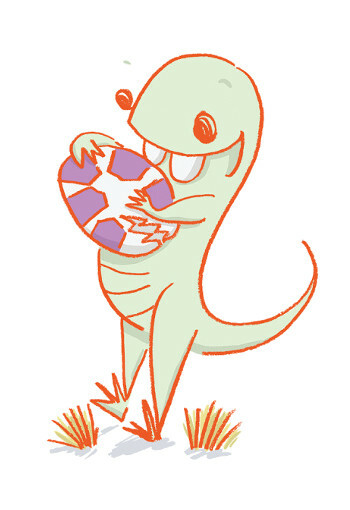 Rex Finds an Egg! Egg! 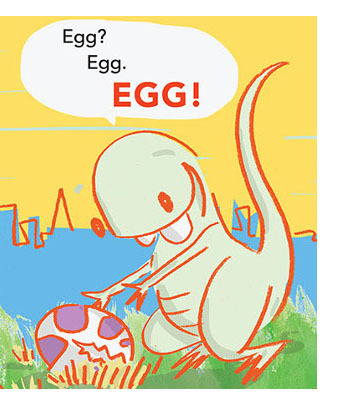 Egg!—the debut picture book from Steven Weinberg, who is visiting 7-Imp today—would be a great addition to the list. The book will be on shelves in late February from Margaret K. McElderry Books. After one particularly active explosion, his “egg” flies away. When it lands and doesn’t break, he discovers—thanks to another smaller dinosaur who’s been following his trail all the while—it’s really a rock. And then comes the kicker, the funny, rather twisted, and deliciously dark ending, which … well, I’M SORRY, but I can’t give it away if you want to read this for yourself. (This isn’t a review blog, so dems the breaks, and I don’t want to spoil your reading experience.) The key word above is “deliciously.” A dinosaur’s gotta eat. 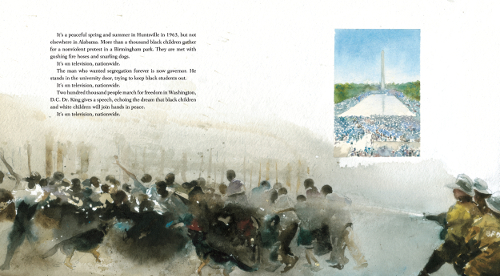 This morning over at Kirkus, I’ve got two good, brand-new nonfiction picture books — Hester Bass’ Seeds of Freedom: The Peaceful Integration of Huntsville, Alabama, illustrated by E. B. Lewis, and Kathleen Benson’s Draw What You See: The Life and Art of Benny Andrews, which includes the paintings of Andrews. That link is here. 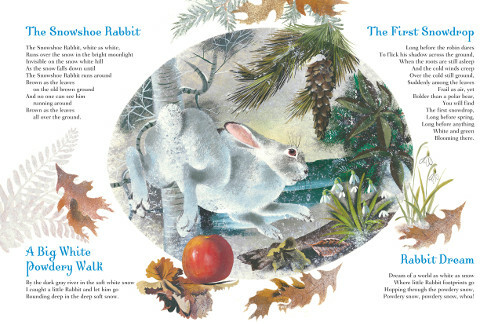 Last week, I wrote here about some picture book reissues, including Dahlov Ipcar’s Black and White, originally published in 1963 with a new edition coming from Flying Eye Books this April; Margaret Wise Brown’s The Golden Bunny, illustrated by Leonard Weisgard and originally released in 1953 (out on shelves again this month, thanks to Golden Books); Jean Merrill’s The Elephant Who Liked to Smash Small Cars (pictured left), illustrated by Ronni Solbert, originally released in 1964, and coming to shelves in March from The New York Children’s Collection; Peter Spier’s The Book of Jonah, originally published in 1985 and coming to shelves again at the end of this month from Doubleday; and Chris Van Allsburg’s Just a Dream, which turns 25 this year. An anniversary edition will be released by Houghton Mifflin Harcourt in March. I’ve got art today from three of these books.